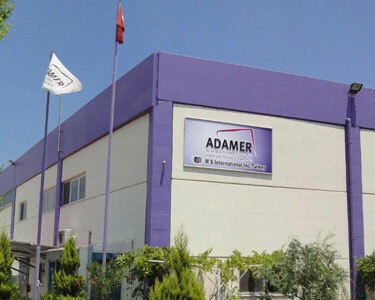 Adamer, an Izmir-based natural stone company, is one of Turkey’s biggest exporters to the U.S. market in the natural stone industry. They export approximately 123-130 containers of natural stone products to the U.S. market every month. 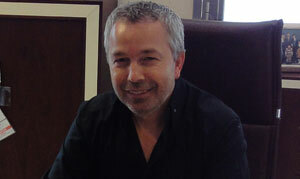 Vedat Zor, CEO of Adamer, talked about his U.S. strategy and achievements. How long have you exported to the U.S.? What was the volume of your first export and what is it right now? We have been selling for seven years to the US market and we started with 4-5 containers monthly with a payment risk, due to that fact that we sold open accounts. Nobody wanted to buy material with any payment guarantee. They didn’t want to pay without seeing the material. Now we are selling approximately 125-130 containers monthly only to the US. What was the major problem at the beginning and how did you get over it? The biggest problem was a lack of trust in Turkish suppliers. We developed the trust of our customers with our reasonable prices, quality service, and on-time delivery. What are the important rules for exporters in the U.S. market, which is very competitive? Actually the one and only answer that is that the key is Reliability, Reliability, and Reliability. If you can give this energy to your clients it means you have made the biggest step to stay safe in the sector. After that comes of course meeting the exact requirements of your clients, emphasizing that you are a logical, organized, and professional company. What is the importance of your product which you sell to the U.S.? When you make comparisons with your competitors, what are the differences between your products? Our biggest advantage in this sector is giving the best service and the best high end materials for the best prices. Providing much material at one shot is also one of the reasons that makes us come into prominence. The materials that we send serve all kind of people in the U.S. We do not aim to reach only a specific class; our purpose is to introduce natural stone to everyone, and show that natural stone doesn’t always mean luxury. What should be done to increase trade volume between the U.S. and Turkey? What is your company’s annual growth rate? How many employees do you have? Also could you give us some information about your revenue? We have 45 people and due to the economical crises we did not increase our capacity. We focused more on keeping it as stable as in previous years. We are the only exporting company with 18 billion dollars in sales yearly. What would you like to say about the Turkish companies competing with each other in the U.S. market? What are your future plans for the U.S. market? Our aim is to increase trade by expanding market access and reducing costs. Of course we want to improve and strengthen our relations with our present customers, make new and strong agreements with new clients and to increase our variety of materials. What three pieces of advice would you give to a new company that wants to extend its business to U.S. market? The first thing that a new company should pay attention to is PAYING ATTENTION, because no one will forgive an error at the beginning of a business relationship when there are so many professional companies with zero errors around. So, double checking can be life-saving. Lastly, you will not be a successful trader if you do not have a system. They come in all different shapes and styles, but if you don’t have a system you cannot be organized.